In case Gujarat chief minister Narendra Modi comes to power and takes over reins of Prime Ministership, which many believe is most likely, India’s working class should be prepared to further tighten its belt under an aggressive liberal economic regime. Also, few of the social security steps, such as for guaranteeing rural employment, taken by the Government of India in the recent past, albeit to “woo” the electorate, would start losing their sheen, and may even been dropped. And if proof is needed for this, say informed sources, one finds an outline of this happening, as reflected lately in the views expressed by two well-known economists known to be close to Modi. 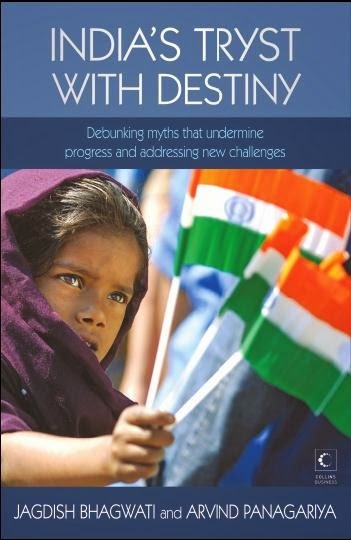 Prof Jagdish Bhagwati and Prof Arvind Panagariya, known worldwide for their thinking on reviving an era of laissez faire at a time when even the US, one of its firmest protagonists, is seeking to move away from it, in their book “India’s Tryst with Destiny: Debunking Myths that Undermine Progress and Addressing New Challenges”, have not just vociferously defended the aggressive Modi growth model of development, but have argued why is it necessary to take it forward in India. 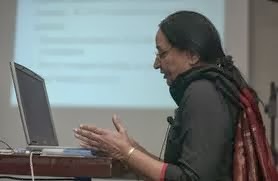 While a lot has been written on the book, the reviewers have missed out a few important points which Prof Indira Hirway, a top Gujarat-based scholar, has noted in her critique (click HERE). In their book, the Bhagwati-Panagariya duo say, the Government of India has made many reforms, such as removing licensing, reducing trade protection, opening up to new technology, and removal of reservation of goods/ services for the small sector, yet it has done almost nothing in labour reforms. According to them, the worst law is India the Industrial Disputes Act, 1947, and particularly its Chapter V B of the Act, that does not allow flexibility in hiring and firing workers if the units have 100 or more workers. 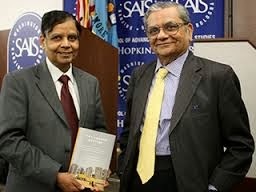 Coming to yet another major reform the pro-Modi economists want India should go in for, the Bhagwati-Panagariya duo recommends cash transfers – mostly unconditional except for vouchers for education and insurance for illness – instead of wage employment programmes. They argue that this will reduce leakages, give freedom to people to use their purchasing power according to their priority, and will also leave their labour with them to use it the way they want. In this framework, they cite strong reasons to discard the Mahatma Gandhi National Rural Employment Guarantee Act (MGNREGA) as (1) there are huge leakages and corruption under it, (2) workers have limited choice to choose their assets/ activities, (3) high wage rates lead to a premature shift to capital-intensive technologies, and (4) the labour on MGNREGA is usually wasted.